When you’ve taken running to the point of being goal-orientated, it’s sometimes easy to forget what got you into the sport for the first time. In researching a book for first-time runners, I created a survey asking five short questions about how people got into running. The responses so far have been strikingly diverse, from people who have been running as long as they can remember to those who have discovered the sport later in life. And the reasons for running are equally striking. I started an army training weekly – and they gave me the confidence to enter my first race! I ran because for years I used to watch the London Marathon on TV – and thought “that is a life ambition” but it seemed to unachievable – so far – I honestly never thought at 36 and a mother, I could do it. I completed my 1st marathon 7 months after my first race. I stayed with running because it meant I didn’t need to edit my food/drink choices anymore… but mostly because it makes me feel good about myself, so much so that I would say it gives me an identity. I am a runner – took me ages before I felt confident to say that and I’m not sure when it happened. I didn’t wake up one day and think ‘I’m a runner’ but it was more a gradual realisation. I couldn’t give it up! 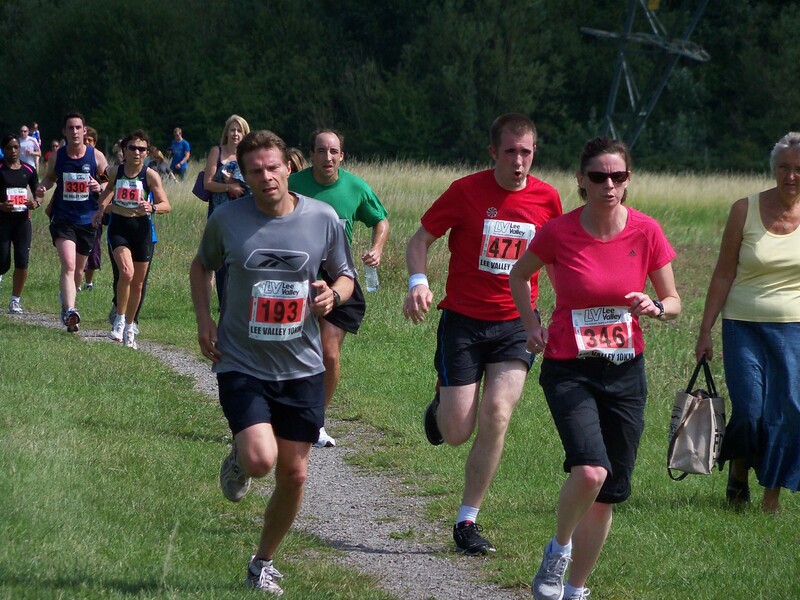 I started a walk to run programme in August 2010. I used Audiofuel to make up some playlists and gradually increased the running. In December, Audiofuel emailed to say “have you thought of taking part in Janathon?”. I signed up (31 straight days of running and blogging) and haven’t looked back. The community of other runners I found through Janathon was fantastic, but best of all, I found out about parkrun. I haven’t been in many races, only 1 so far in fact. It was a very small ‘Brighton Barefoot Race’. I entered on the day with my son who is four. It was 1km and loads of fun. I learnt how to run downhill really fast by copying Gabriel who just let himself go with a BIG smile on his face. He was way quicker than me. I think of this race every time I run down a hill flapping my arms and grinning like a child. Having stuck with running has given my the opportunity to run in some “once in a lifetime” events such as the 2010 Paris Marathon and the 2011 Boston Marathon as well as to combine overseas travel with my running. My best experience was the Boston Marathon, which is like the average runner’s Everest. What made it special was being part of a long tradition, being made feel special by the crowd, receiving enormous encouragement along the way and generally just taking in the atmosphere in Boston marathon time. My best running experience was my very first overall 5K win. While being the winning female runner, being congratulated by other runners, and being handed a hugh trophy to carry about was tremendous fun, it was special to me because my father was there to see me win. Because of his job, he was never able to get to my track meets when I was in high school, and I know he always felt guilty about that. He was proud to see me win that race, and I was proud to win it with him cheering me on. He was so proud he even boasted about me to the local news reporter who was writing an article about the race! I’ve been honored and lucky enough to be the overall winner of 7 races in my career, but that first one will always be the most special one to me because me dad was there to see it. I had a spinal bend form a scuba diving accident in 2005 which left me temporarily paralysed from the waste down. The nerve damage plus 3 weeks in hospital made my skinny legs even more twig like and very unfit. So i decided to start running to improve strength, proprioception and fitness. My best experience has been running my 1st marathon in London in 2009. Its an amzing experience anyway thanks to the crowd support and all those runners with charity vests with loved ones’ names on – I remember the emotion of it even now. Plus, for me it was a journey I nearly didn’t make. Three and a half years before I’d been in a hospital bed wondering about the logistics of wheelchair access in our house, or fitting a lift and there I was in London finishing in the top 10% of runners. So, the next time it’s cold, wet, windy and dark and you’re due to be running after a long day’s work and you’re struggling with the motivation to get yourself out the door, remember that there’s a whole host of reasons to run. And, if you fancy sharing your story, you could always complete the survey here. Entries received before the end of November 2011 stand a chance of being included in the book.